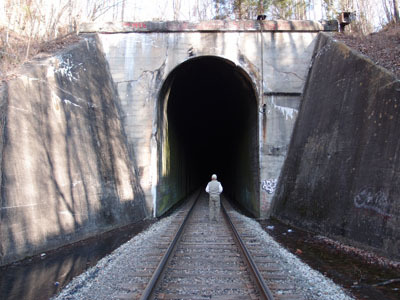 Why is there only a short stretch of line below the tunnel? All that work to build that tunnel and it doesn’t even have a decent way to get into it from the south. Has to do with the wye, I suppose. First of all, it’s not a wye it’s the only mainline switchback still in use in the United States, I live 12 miles from the switchback and tunnel it still sees approximately 8 trains per week of coal and scrubber stone. My grandfather help build this tunnel. His name was p.e. pace. He worked on the ky side. The Powell valley new done to story’s on him. The other tunnel you spoke of is on top of the mountain. Stone mountain we call it. Cumberland mountain. Its a old trade trail. There’s another trail over top of the tunnel called the Hagen trail it was a trade route also. Thank you! I’ve corrected the post and appreciate your input.